In light of her recent reboot on Netflix, the focus of this week’s episode is She-Ra, the Princess of Power! Turning her back on the Evil Horde that raised her, this sword-swinging warrior learns how to be a hero with a good heart along with the help of her Etherian friends- other princesses, creatures, and inhabitants of the magical world she calls home. From 80’s nostalgia to the brand new Netflix reboot, fans can follow her fight for justice across the ages as the lore of Etheria evolves and deepens. Originally created as the female counterpart to the successful He-Man and the Masters of the Universe line of cartoons and toys, She-Ra appeared on the scene in 1985, with her own host of friends and villains set apart from her twin brother Adam’s realm. Taking core themes of bravery, strength, and of course honor from the classic series, cartoonist and writer Noelle Stevenson was set as the showrunner for Dreamworks’ new animated series for Netflix, which debuted in November 2018. This reimagining of the legendary warrior puts her destiny into her own hands, removing He-Man from the equation and giving characters like Adora, Catra, Glimmer, and Bow even more complex roles and motivations in their fight of good versus evil. 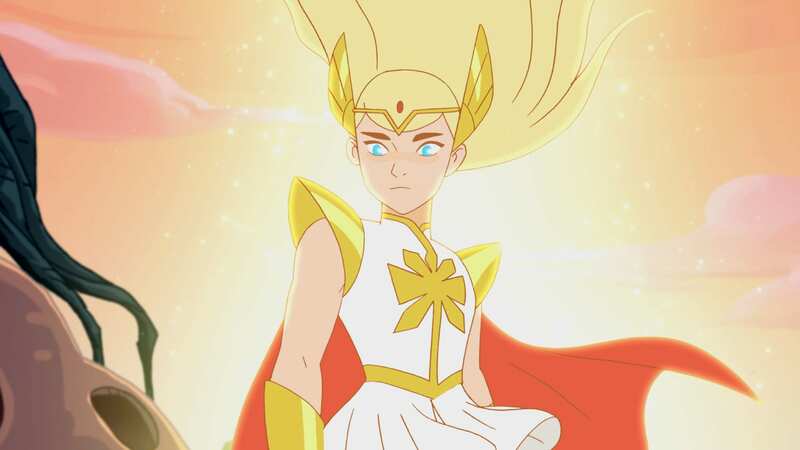 Though she was raised to be a ruthless Horde soldier, Adora is able to overcome her upbringing and redefine her destiny as She-Ra, Princess of Power, after acquiring the mystical Sword of Protection. Whether fighting alongside her brother Adam in the classic series or forging a new path in She-Ra and the Princesses of Power, she remains a strong warrior with a good heart, whose adventures inspire us all to examine our own ideas of right and wrong. Find out what we had to say about the first season of She-Ra and the Princesses of Power on Netflix, and how that sense of 80’s nostalgia is honored and upheld throughout the new series!